The Renegades was formed in Birmingham, England in the early 1960s. In the beginning the group's primary influence was The Shadows, but they were soon to change their style into straightforward rock & roll and rhythm & blues. Around 1963, besides hardening their music, they also embraced themselves a harder look, when they started wearing cavalry uniforms of the time of American civil war as their stage outfit. 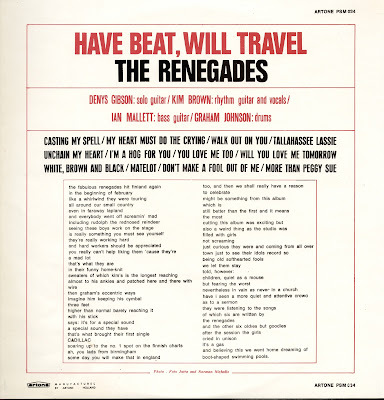 In February 1964, The Renegades' version of Liszt's 'Hungarian Rhapsody' appeared on a compilation titled 'Brum Beat', which introduced Birmingham's rock groups. Excepting that and an acetate single for Morden-based Oak Records and a budget priced album for Fidelio/Summit Records (produced by Delta Record Company of London), The Renegades did most of their 1964-66 recordings for the Finnish Scandia Records and after that for the Italian Ariston and Columbia Records (which leased the material forward to English, American and Middle-European labels). 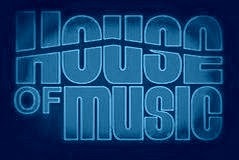 In Holland it was Artone records that released the records. They changed the track listing of 'Cadillac' a little to make it more attractive for the Dutch market. Kim Brown, Denys Gibson, Ian Mallet and Graham Johnson conquered Finland in October 1964, when they did a one-off gig at a model show in Helsinki, and then started a constant seven weeks' tour, playing at multifarious dance floors around the Finnish country side (the originally planned three-week stint was extended because of a massive success and demand). The first visit also included two tv-appearances ('Nuorten Tanssihetki' & 'Uudet Tuulet' shows), and signing the record deal with Scandia Records. 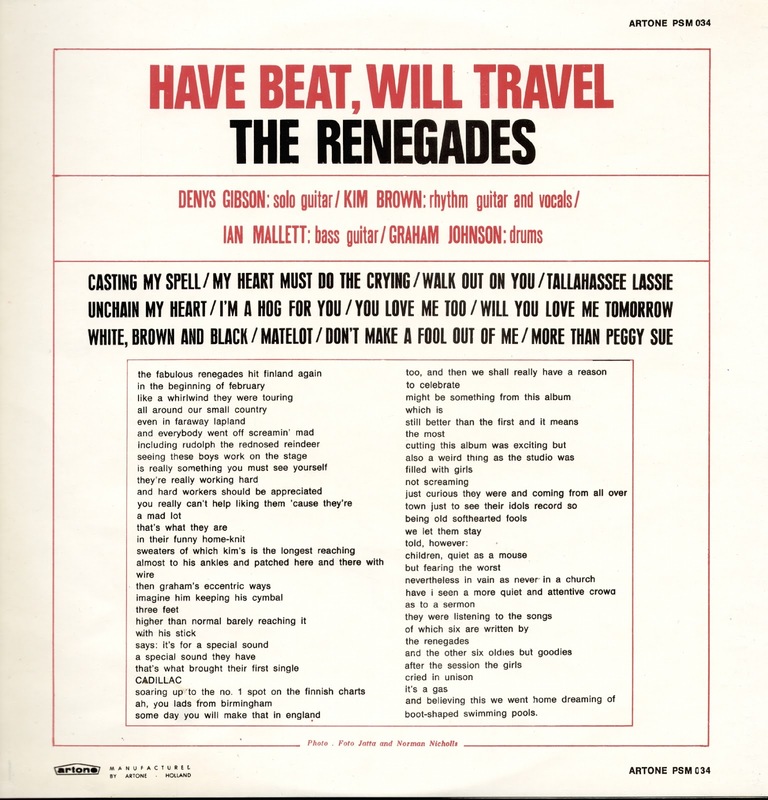 Since 1967, The Renegades had visited in Finland altogether seven times. Besides them, they also appeared in late 1965 in Germany, Holland, Switzerland and Italy, where they returned in 1966 to took part in song contest with 'Un Giorno Tu Mi Cercherai' at the San Remo music festival. 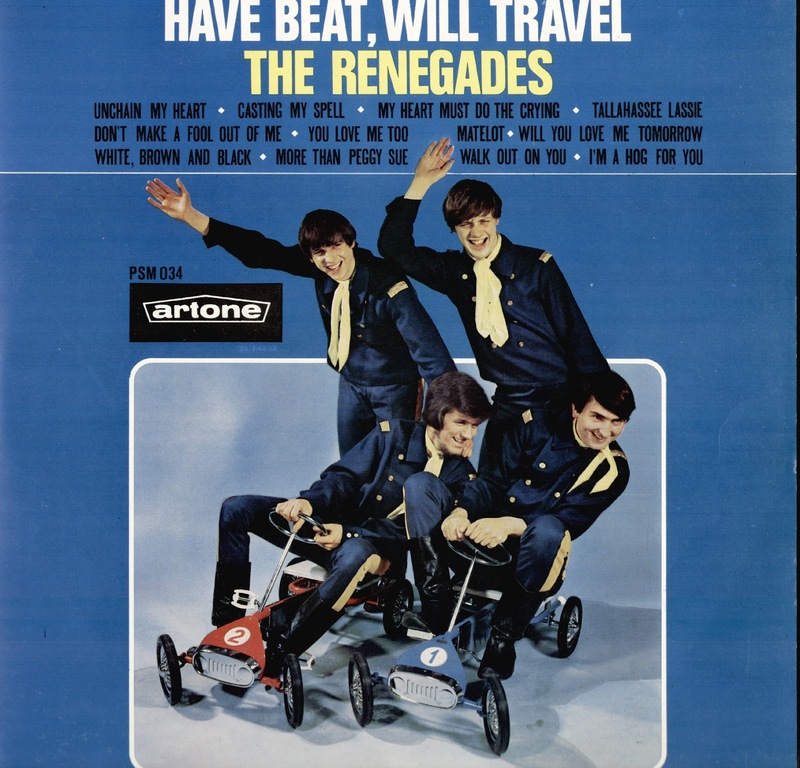 Although they were treated here as the '2nd Beatles', The Renegades wasn't actually a beat group in the literal sense of the word. Of course they sounded rougher than fifties or early sixties groups, but a notable part of their repertoire was still straight rock & roll, and they were obviously affected by black blues music as well. These influences were heard also in their own compositions, but ironically, their biggest Scandinavian hit 'Cadillac', which was credited to be written by themselves, was actually a simplified remake of rock & roll classic 'Brand New Cadillac', penned and recorded by Vince Taylor. In Sweden, The Renegades version was covered by The Hep Stars, while in Finland, Eero ja Jussi & The Boys remade it as a humorous Finnish translation 'Mosse' (which is a synonym for the popular Russian automobile brand, although the lyrics are talking about a horse of the same name).